Many parts of the world banned possessing and growing of marijuana, many people often adopt guerrilla growing techniques as a means of producing their own smoke, buds and medical marijuana. By using proven methods and techniques, designed to help reduce many of the risks associated with being caught, guerrilla growing is often performed outdoors during the complete growing season, adopting different strains and proven techniques adaptable to your environment, location and climate. Guerrilla growing has become common across many parts of the world, including the Canada, the USA, and UK to name just a few. Guerrilla growing in the USA has increased in popularity and become more common due to the increased demand for high quality cannabis and marijuana increases. Although many states have changed their laws, and decriminalized the use and possession of marijuana, growing and cultivation are often considered a separate issue and are often illegal under both federal and state law. For a large number of marijuana growers, reaping the rewards gained from guerrilla growing during the Spring and Summer seasons are too good an opportunity to ignore, generating an abundance of buds for their own personal use, or for sale to trusted friends. While there is a demand, you can guarantee someone is profiting from it’s supply, and against the law or not, many marijuana growers use guerrilla growing techniques as a means of reducing the risks of getting found out, while still producing their own plants and high quality marijuana buds and cola’s. For most gardeners, guerrilla growing substantially reduces the chances of being caught possessing, or growing cannabis. Living in one of the more friendly and liberal parts of the USA which permits possession of either medical, and, or recreational marijuana, there are limits on the permitted amount of marijuana plants you may legally grow, if you’re allowed to grow at all. Growing cannabis in the United Kingdom is against the law across all parts of the country, and even though there are not as many wide open spaces as there are in the USA, guerrilla growing practices have become very popular there too, often in some of the cleverest places, including a disused nuclear bunker. Guerrilla growing can actually be done in a number of different ways, and although planting marijuana seeds outside, and away from your home and land, choosing a secluded and remote area is often the most used and known method, there are actually many ways of start guerrilla growing marijuana plants, that are used right across the world, ranging from small, personal grows, through to commercial operations and black market enterprises. There are many methods and whichever you chose to use, the aim remains to produce the best marijuana buds without getting caught and subsequently arrested. There is a wide selection of cannabis strains suitable to a variety of guerrilla growing methods and techniques, picking the right strains for your climate can often be selected by climate. Where possible almost any marijuana strains and seeds can be planted outside, some begin to flower, bud and completely mature a lot faster than other strains, making them a better selection for guerrilla growers in Northern states. Marijuana buds and cola’s are only produced by the female plants, male’s generate the necessary pollen for fertilization, you can make sure you aren’t planting male seeds or plants or hermaphrodite plants by buying only feminized cannabis seeds. 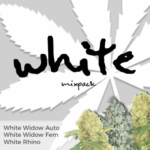 Every single one of the high quality feminized seeds sold here are fully 100% guaranteed to germinate and grow pure, 100% female plants, with the best quality buds, and biggest harvests. Climate is an important part during the development and growth of your marijuana seeds, and you should buy seeds which can grow well given the temperature and conditions around your guerrilla growing site. Although strains and seeds should be selected which you enjoy and appeal to your tastes and needs, when there produced outside, the plants require long enough in full flower to achieve complete maturity before the growing season ends and early night time frosts cause rotting buds and mold problems.The length of the growing season, as well as temperature and the number of average daylight hours are all major factors when growing marijuana outside, and so selecting seeds and the correct strains which can fully develop and grow, flower and mature naturally, and before the lower winter temperatures and the frost, can be a very important part when choosing the best marijuana seeds for your grow. Although the longer growing season and warmer winter enjoyed in the southern parts of the USA, are perfect for longer flowering, Sativa dominant strains, these seeds sometimes find it difficult to fully mature if they are planted in northern located states. 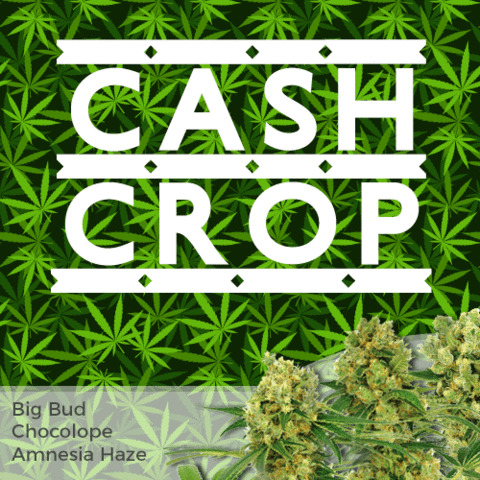 However the more compact and bushier Indica varieties have a much quicker flowering phase and so are able to mature in cooler temperatures and far harsher environments. 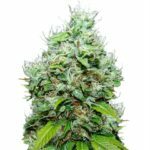 Feminized autoflowering marijuana seeds have become the major and favoured selection for a wide number of marijuana guerrilla growers across many states. 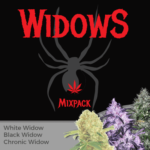 Completely feminized and guaranteed to generate pure female plants, these marijuana seeds and strains are the perfect answer for novice and outdoor commercial growers alike, creating the best quality marijuana buds and cola’s regardless of the number of light hours the plants receive. Autoflowering seeds are often known as ‘throw-and-grow’ usually being the simplest forms of marijuana seeds to plant. Requiring approximately 12 weeks after germinating, feminized autoflowering seeds are able to grow and develop, flower and completely mature even in the most extreme lighting conditions, and even though the yields are smaller than traditional feminized seeds, the speed and ease with which they grow, means you can plan ahead with staggered germination and subsequent harvests. A large number of experienced guerrilla growers germinate a variety of both autoflowering as well as traditional feminized marijuana seeds in the early part of the growing season subsequently enjoying lengthy, productive harvests later in the season. Marijuana growers who live in southern parts of the country enjoy a much longer growing ‘window’ then those living in northern states, and so their choice of seeds and strains should take this into account. 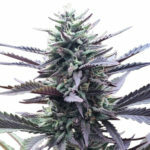 Selecting and planting autoflowering seeds can often be one of the few options available for living in colder parts of the USA, with only a short growing season and early storms and the first frosts, they can also be a great means of producing multiple and quicker harvests of high quality buds if they are germinated and grown in warmer parts of the USA, and are capable of producing tasty, potent buds throughout the middle of the Summer months, when traditional feminized marijuana and cannabis plants are still only in the vegetative phase. 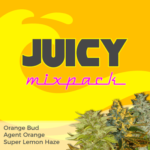 Buy feminized marijuana seeds to ensure all the seeds you sow and grow are female and able to produce only the highest quality and most potent buds and harvests. Select seeds and cannabis strains that have flowering times suitable for where you are going to begin growing. Northern parts of the USA, should purchase quick flowering marijuana seeds and strains in order to avoid frost problems. Many of the autoflowering seeds and strains can be fast to ripen as well as being very easy to grow, making them a perfect choice if you require fast harvests for growing in northern states, or for generating extra yields and harvests in warmer, southern located parts of the USA. Plan the guerrilla growing marijuana set up well in advance, study when and what cannabis seeds to germinate and take note the plants anticipated harvest date.